For much of human history, retirement planning meant having a brood of children who could take over the farm or shop and care for their aging parents. While that’s no longer the case, kids still play a central role in the lives of most retirees. Sons and daughters help make important decisions and provide emotional, logistical and sometimes even financial support. Appoint a medical proxy. This person will have the power of an attorney to make decisions about your health care when you are deemed incapacitated. So, choose wisely. A spouse or domestic partner is usually a solid choice. It’s always good to have a back-up proxy in case you outlive your primary one. If you don’t have kids, consider a trusted relative or friend for this role. Make a living will. This document details what sort of medical care you want in certain situations, mostly related to end-of-life treatment. Do you want to be kept on life support? Placed on a feeding tube? This is where you will let your wishes known. Assign power of attorney. The person who holds your power of attorney will have authority to manage your finances when you are incapacitated. Obviously, this should be someone you trust completely; someone who has your best interests at heart. If you don’t have anyone in your life who fits that bill, you can set up a revocable trust and appoint your bank as your trustee. It would then handle everything from paying bills to filing insurance claims to maintaining/selling your home when you are unable to handle these tasks. Make a will. It’s particularly important for people without immediate family to detail their wishes for the distribution of property, burial arrangements and even guardianship of any pets. You will need to find a trusted someone to carry out your final wishes as executor of the will. Fund long-term care. You thought college tuition was out of hand? The cost of senior care is insane. Assisted living centers charge an average of $3,300 per month. Nursing homes typically cost $75,000 per year. Even if you decide to stay in your home, the cost of daily visiting help can add up. Home health aides can charge $21 per hour. Adult day care averages $67 per day. 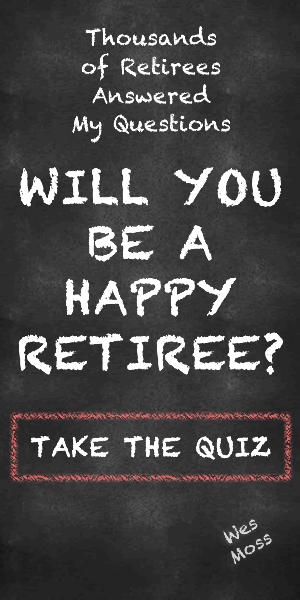 Ideally, you will be able to pay this from your retirement nest egg. If that’s not in the cards – and you have no kids to help with the cost – consider long-term care insurance. It’s not cheap and gets more expensive as you get older. Look into it asap. Find a community. Look for a convenient place to live. Consider things like public transit, cultural activities, nearby health care facilities and, of course, proximity to friends and family. You can see how various cities rank for aging here . Building a post-career network of trusted professionals, family and friends is critical to enjoying a happy retirement – whether or not you have kids. But for those who retire childless, that circle takes on an added importance by easing your mind and providing emotional support.